Nowadays,more and more people pursue the personality,they want to decor their surroundings according to their interests. our machine was invented and satisfy this demands, our machine can make the personality wall decoration come true without professional stylist, designer.any kind of picture you can imagine,our machine can print on the wall directly.Just input the picture in the computer.Therefore, operators can produce time saving and high efficiency first-class decoration engineering and let customers satisfaction home decoration without basic painting, without a large wall painting team. Looking for ideal Decorate Cartoon Wall Manufacturer & supplier ? We have a wide selection at great prices to help you get creative. All the Print Cartoon On Wall are quality guaranteed. 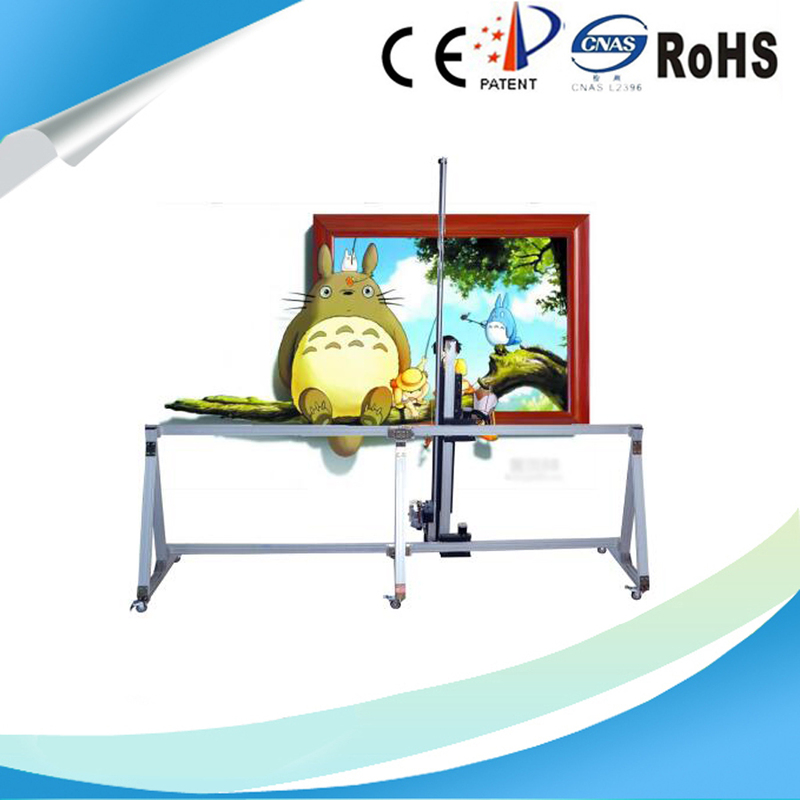 We are China Origin Factory of Vertical Wall Cartoon Printer. If you have any question, please feel free to contact us.